With AMD FreeSync technology built right in to the KG271 bmiippx 27" 16:9 LCD Gaming Monitor from Acer, the frame rate is synced between the monitor and your computers graphics card. In addition to support for AMD FreeSync technology, gamers can also take advantage of the 1 ms response time that nearly eliminates all ghosting and blur during fast moving games. When you're not playing games, the 2560 x 1440 resolution display offers enhanced picture quality while the 100,000,000:1 dynamic contrast ratio allows for deeper dark and brighter light colors, which is great for viewing photos, drafting documents, and much more. Setup and configuration is simple as the KG271 comes equipped with both HDMI 1.4 and DisplayPort 1.2 inputs. Once configured, the display can be tilted from -5 to 15° for maximum viewing comfort while the dual 2W speakers complete the multimedia experience. 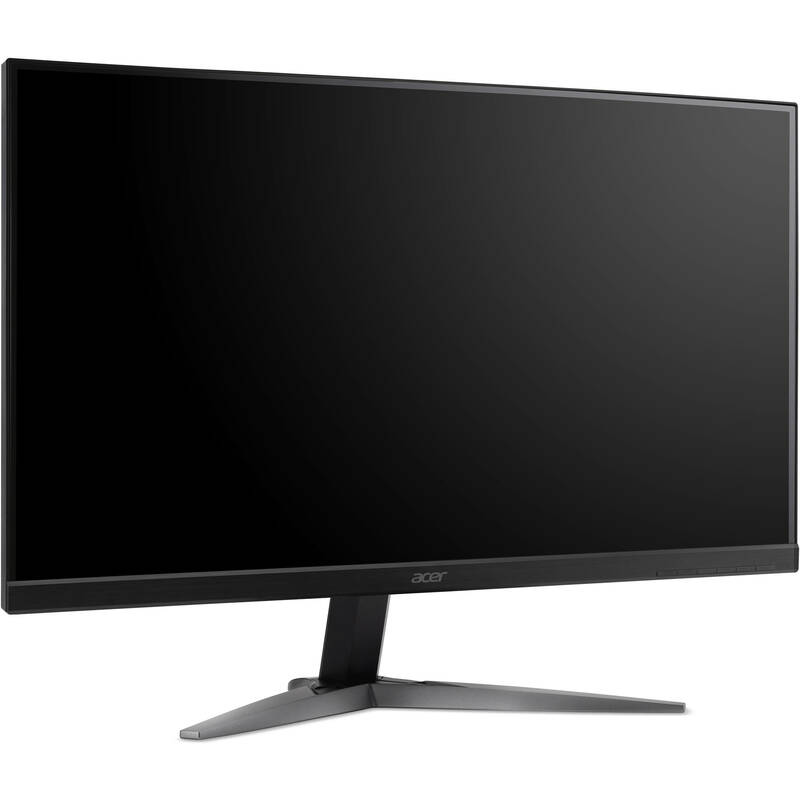 The KG271U 27" monitor with 2560 x 1440 WQHD resolution in a 16:9 aspect ratio presents high quality images with excellent detail. The zero-frame design does away with the thick frames found on conventional monitors, which frees up precious screen space so you have more to look at from edge to edge. Say "goodbye" to stuttering and tearing. With AMD FreeSync, the monitor's frames are synced with the graphics card's frames, which eliminates screen tearing and provides a smooth gaming experience. Stay in the fight for hours with Acer EyeProtect's Flicker-less, Blue Light Filter, ComfyView, and Low-dimming technology. These features take into consideration prolonged usage and minimizes eye-strain from long gaming sessions. Focus more sharply on your tasks with the superior 100,000,000:1 contrast ratio and ultra-quick response of this WQHD monitor. Enjoy the brightest whites and deepest blacks for exceptional viewing definition to all your content. Fast response time of 1 ms GtG (Gray to Gray) enhanced gamers' in-game experience. No matter the fast-moving action or any dramatic transitions will be all rendered smoothly without the annoying effects of smearing or ghosting through Acer KG series. The KG271U display is designed to reduce the impact on the planet. The EcoDisplay design means it has ENERGY STAR 6.0 certification for being very energy-efficient, and they don't contain mercury. These displays and their packaging are also designed to be easily recycled. Box Dimensions (LxWxH) 27.0 x 17.5 x 6.0"